В воскресенье в завершении 20-ой встречи лидеров экономик-участниц АТЭС во Владивостоке принята декларация, в которой намечены пути по укреплению благосостояния Азиатско-Тихоокеанского региона и усилению его лидерства в мировой экономике. В декларации подчеркивается взгляд лидеров АТЭС на решение задач и снижение рисков в мировой экономике, в том числе на финансовых рынках, которые остаются нестабильными. Во время воскресного заседания лидеры заслушали выступление директора Международного валютного фонда (МВФ) Кристин Лагард. интенсивное взаимодействие для укрепления инновационного роста. Приложение A. Курс на инновационный рост. Приложение B. Укрепление энергетической безопасности АТЭС. 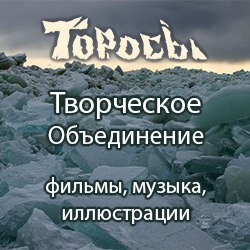 Приложение C. Перечень экологических товаров АТЭС. Приложение D. Развитие взаимодействия в трансграничном образовании. Приложение E. Борьба с коррупцией и обеспечение транспарентности. Лидеры АТЭС также приняли предложение Президента Индонезии Сусило Бамбанга Юдойоно встретиться в 2013 году на Бали. We, the Leaders of the Asia-Pacific Economic Cooperation (APEC), gathered in Vladivostok, Russia on 8-9 September 2012 for the 20th APEC Economic Leaders' Meeting under the APEC 2012 theme of «Integrate to Grow, Innovate to Prosper» to reveal the pathways to strengthen the region’s prosperity and leadership in the global economy. APEC plays an important role in pursuing green growth in the region. While each economy has its own environmental and trade policies, it is vitally important to pursue common approaches to environmental challenges, and take coordinated actions to address climate change, such as promoting trade and investment in goods and services needed to protect our environment and developing and disseminating relevant technologies. Trade and investment liberalization in environmental goods will help APEC businesses and citizens access important environmental technologies at lower cost, which in turn will facilitate their use and benefit the environment. In addition, it will contribute significantly to APEC’s core mission to promote free and open trade and investment, as embodied in the Bogor Goals. In that light, we are pleased to endorse the below APEC List of Environmental Goods that directly and positively contribute to green growth and sustainable development objectives on which we will reduce applied tariff rates to 5 per cent or less by the end of 2015 taking into account economies’ economic circumstances and without prejudice to their positions in the World Trade Organization (WTO), as we committed in 2011. We commit to continue capacity-building activities to assist economies in implementing tariff reductions on the agreed list of environmental goods. We believe that reducing our tariffs on environmental goods demonstrates our commitment to pursuing green growth objectives, addressing climate change and securing sustainable economic development, and are committed to continuing APEC’s leadership role in this regard. Renewable bamboo-based products are substitutions of wooden necessities.Since bamboo is characterized by short growing cycle, these enviroment-friendly products can save a great deal of water,soil and air resources. Auxiliary plant for use with boilers of heading 84.02 or 84.03 (for example, economisers, super-heaters, soot removers, gas recovers'); condensers for steam or other vapour power units. Used to cool gas streams to temperatures which allow the removal of contaminants, e.g. volatile organic compounds (VOC) like benzene. Parts for 841181 and 841182. Parts for gas turbines described above. Machinery for liquefying air or other gases. Used in producing chlorine dioxide. Thermal cyclers serving multiple environmental purposes. Parts for 842121 and 842129 [Ca, J, NZ, K], excluding parts for other filters of a kind used as components in motor vehicles [Au]. Parts for 842121, 842129x and 842139 [US]. Excluding for subheadings 842123100, 842129510 [M, BD]. Including sludge belt filter presses and belt thickeners [Ca, J, NZ, K, Au]. Used for solid waste treatment or recycling. These equipments are used to release and mix medicament,which is an essentical step of putting flocculant in wastewater in water treatment industry. Machines and appliances designed for a wide range of areas of environmental management including waste, waste water, drinking water production and soil remediation. In-vessel composting systems can handle large amounts of waste and speed up decomposition. Trash compactors reduce the volume of solid waste, allowing more efficient transport and disposal. Used to convert DC current from renewable energy generating sets into conventional AC electricity. These products are used to destroy solid and hazardous wastes. Catalytic incinerators are designed for the destruction of pollutants (such as VOC) by heating polluted air and oxidation of organic components. Furnaces and ovens; functioning by induction or dielectric loss. Heliostats orient mirrors in concentrated solar power systems to reflect sunlight on to a CSP receiver. Includes instrument and appliances necessary for measuring the ozone layer and to monitor, measure and assist planning for natural risks such as earthquakes, cyclones, tsunamis etc. Gas analysers are designed to continuously monitor single or multiple gas components, and such an instrument is used to analyse air emissions from automobiles. Gas and liquid chromatographs use an analytical method where a physical separation of the sample components occurs prior to detection. These instruments can be use to monitor and analyse air pollution emissions, ambient air quality, water quality, etc. Electrophoresis instruments can be used to monitory and analyse materials such as particulates emitted from incinerators or from diesel exhaust. Spectrometers are used in a wide range of environmental applications, including to identify and characterise unknown chemicals and in environmental applications to detect toxins and identify trace contaminants. They are also used for qualitative and quantitative analysis inter alia in quality control departments, environmental control, water management, food processing, agriculture and weather monitoring. These instruments include: magnetic resonance instruments which are used in biologic and geologic analysis; and mass spectrometers which are used to identify elements and compounds. These instruments include microtomes which are devices that prepare slices of samples for analysis. Also included here are parts of the instruments classified in 9027 and described above.